We're located in the quiet neighbourhood of Tirso de Molina; just around the corner from Puerta del Sol, neuralgic centre of Madrid. We have selected our location in order to having all main touristic spots by walking distance in this beautiful and walkable city. Close to traditional markets such as San Miguel or El Rastro flea market on Sunday mornings, the hostel is not more than 15 minutes walk to the Art Triangle: Prado, Reina Sofia and Thyssen-Bornemisza museums. 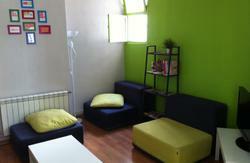 The first idea of Way Hostel took place during summer 2008. By that time, there was not even a name, just a place that appeared to be ideal to reach our goal, the one that involved opening a new concept hostel in the city. We only knew the name should have 3 letters and rooms should be wide and diverse, because the new type of “backpackers” coming to town were not satisfied with the cheap accomodation that existed in Madrid. With all the will, and dreams ahead, we started the reform of the building and the first strategies to develop what soon became the best hostel of the city. A great place, with a great name and a great location was not enough, so our next move was to build up a young and multilingual team with ambitions. 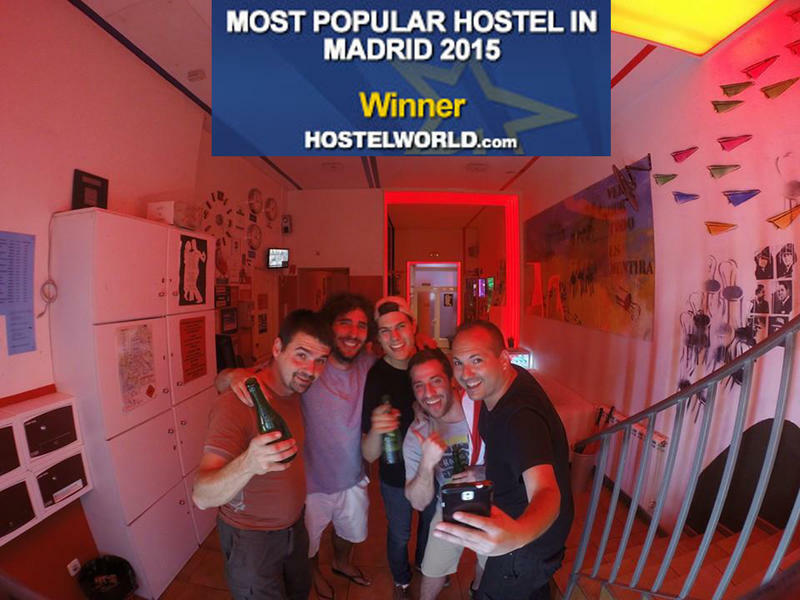 Today, after more tan 4 years, Way Hostel turned out to be the best location in it´s category, making the perfect spot for great memories to more than 150.000 guests that gave us a chance. Once here, you will be the judge. Our motivation has been, and always will be the same: it is important that you come, but far more that you come back. 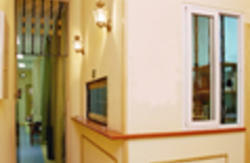 That is why we offer a huge variety of rooms and prices, activities and services that will assure a great stay. From double private rooms ensuite to large dorms and only female dorms; from free, to “backpacker´s” price activities; from Spanish, to South Korean Staff; once here, you will never want to leave! And if you are planing a group trip, with friends, family, uni or whatsoever, we will offer the best prices of the market so you can enjoy everything else Madrid has to offer! We offer a wide variety of activities such as a walking tour, tapas tour, pub crawls and Flamenco shows. We also organize 'milongas', the famous tango dance celebration, every Saturday night at the hostel free of charge for our guests! So if you happen to stay during the weekend, you should give your dancing skills a try. Don't miss our day trips to Toledo, Segovia, El Escorial & Aranjuez from Way Hostel... We take you and pick you up, you just relax and enjoy!! Breakfast not included but we offer FREE coffee and tea and different options for a full breakfast at our bar on the corner. We'll make your stay in Madrid unforgettable. Stay with us and be part of the Way experience! You can also get by train (approx. € 3) from airport´s Terminal 4 by taking Cercanias Line C1 to Atocha Renfe station, or the airport shuttle bus (approx. €5) to it, and follow directions as below. Alternately, a taxi from the airport should cost around € 35. Alternately, a taxi from Atocha Renfe should cost about €12. Alternately, a taxi from Chamartín should cost about €20. Alternately, a taxi from Est. Sur should cost about €15. Alternately, a taxi from Av. America should cost about €20.